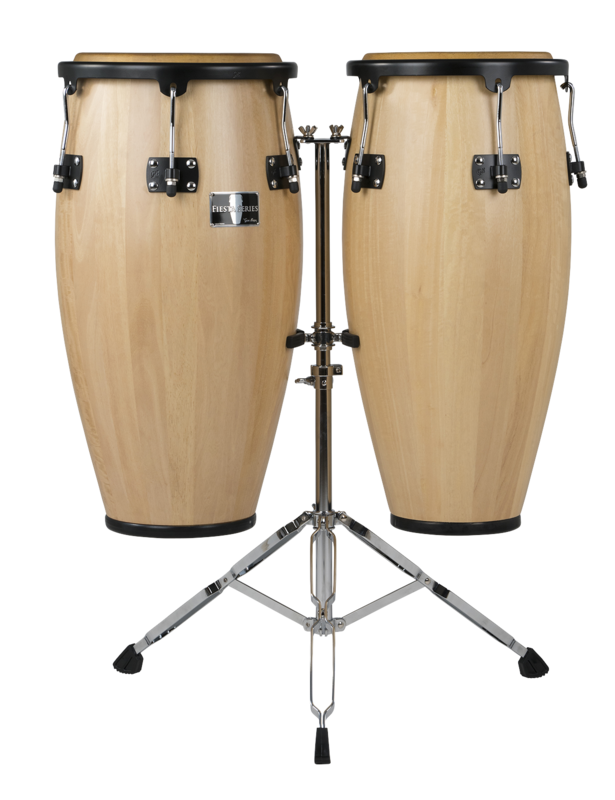 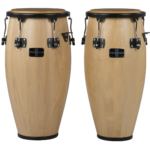 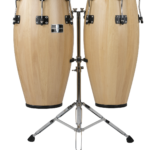 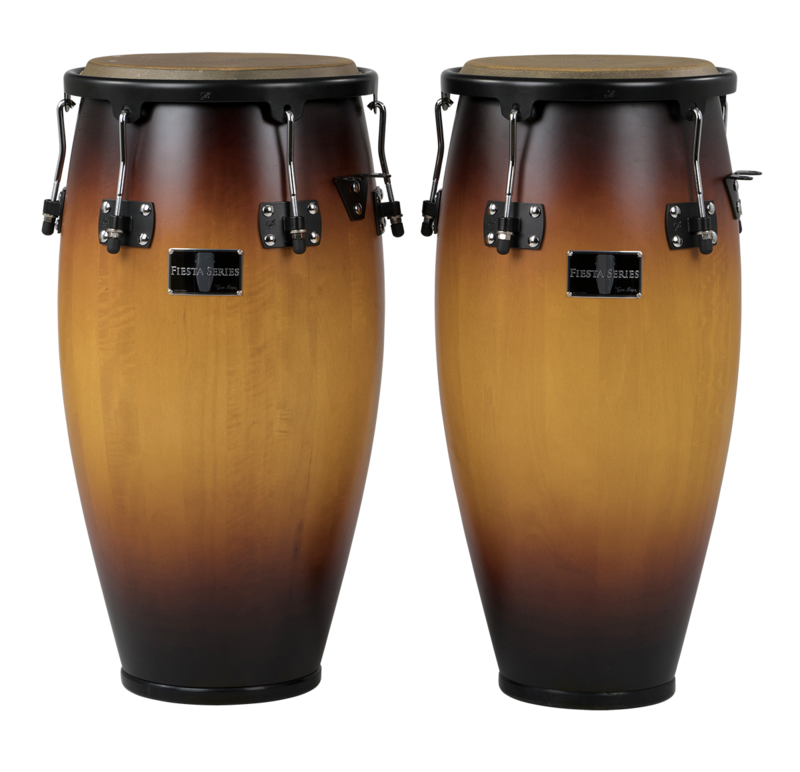 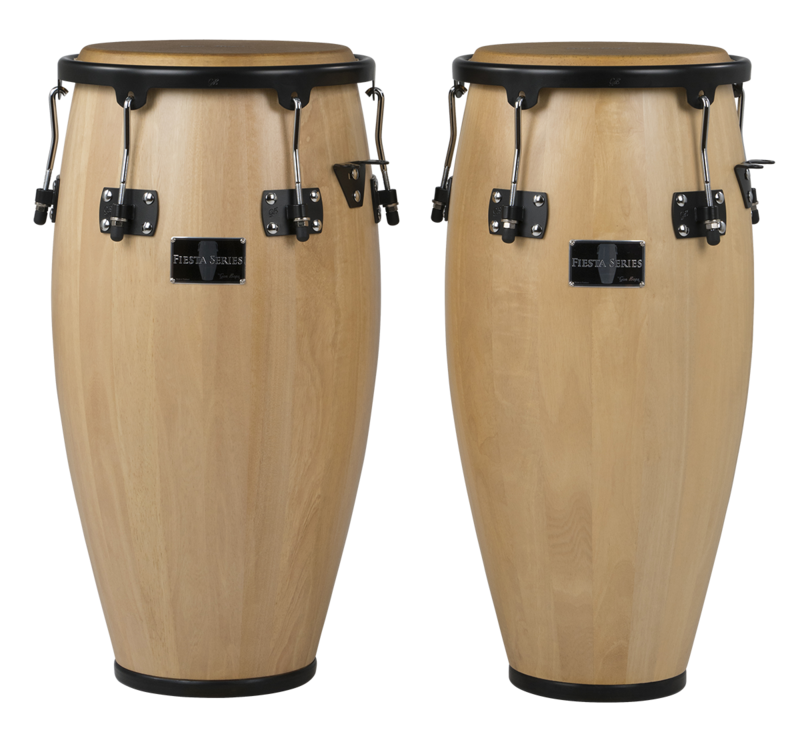 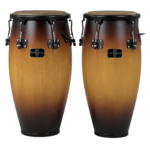 A professional-size 11”/12” set with durable, lightweight stand, Gon Bops Fiesta Congas deliver legendary quality and tone at a price designed with the average percussionist’s budget in mind. 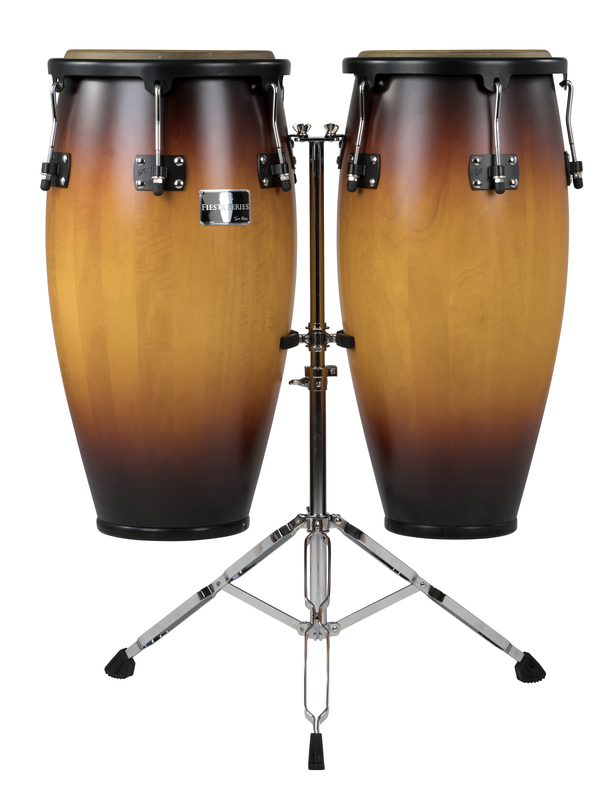 Black powder-coated teardrop style top ring provides long-playing comfort, while the combination of Mango shells and pre-fitted rawhide heads produces rich open tone and tight, crisp slaps. 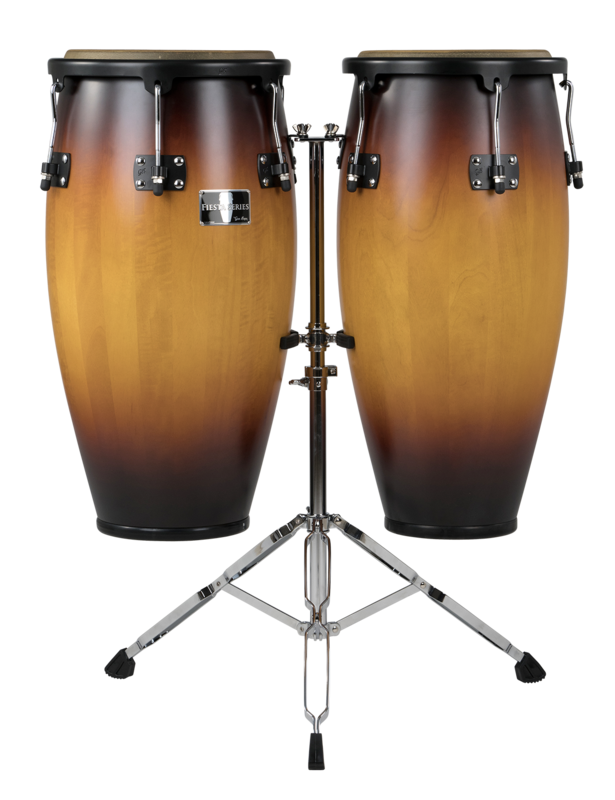 Gon Bops Fiesta Congas are a serious set of drums you can play confidently on-stage – not only do they sound great, they look great too in a new sunburst finish. 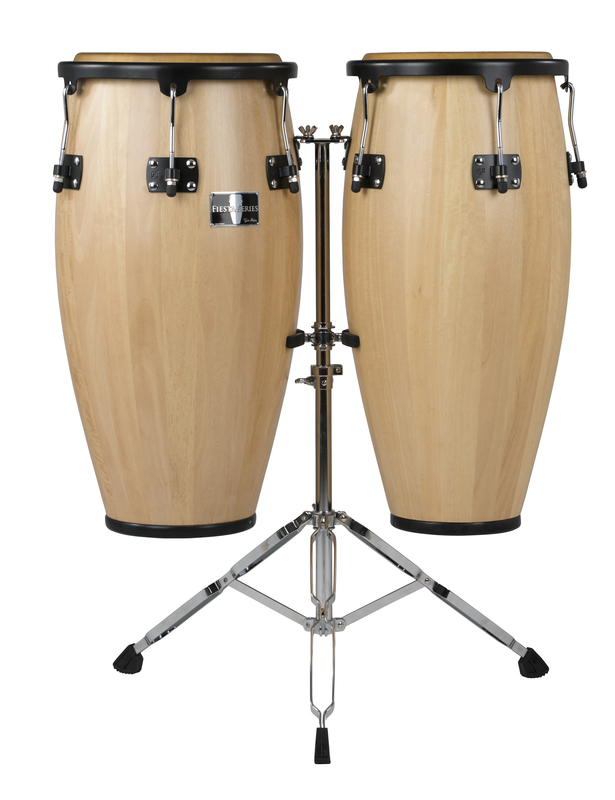 Matching 7”/8.5” bongo set also available.